I thought I couldn’t love my iPhone any more than I already do. Then I saw this specially-designed case which introduces a whole new fun element to my much loved toy (er, I mean, phone). Like many iPhone owners, I’m all about enhancing my Apple experience with cool, useful apps and a wardrobe of essential covers and various accessories. Yes I know it’s just a phone, but our relationship runs deeper than that, which my husband can attest to. 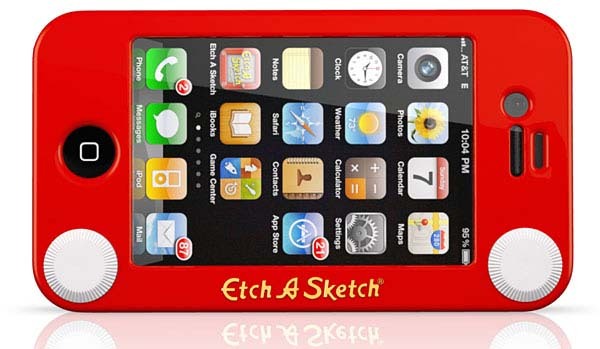 Introducing the Etch-A-Sketch iPhone 4 case, an officially licensed Etch-A-Sketch product that disguises your phone as a miniature Etch-A-Sketch. The case itself is a completely functional iPhone 4 case made of impact resistant ABS plastic, there’s no slipping it in and out when you want to use your phone like a phone sock as it encases the whole phone body. Teamed with the Etch-A-Sketch iPhone app, the kids will think it’s an absolute hoot. I imagine you might get a few odd looks from strangers as you chat on your look alike Etch-A- Sketch, but hey it’s all in good fun! If you’re super keen, there’s also an Etch-A-Sketch iPad case (US$39.99). 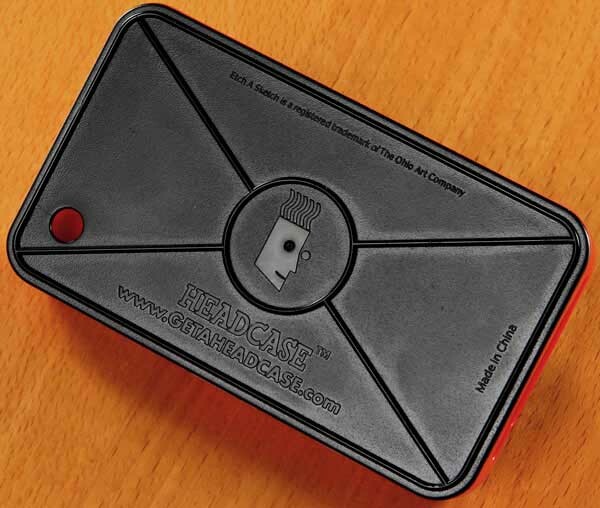 Get your hands on your very own Etch-A-Sketch iPhone 4 case for US$24.99 at Think Geek. Delivery to Australia is available.